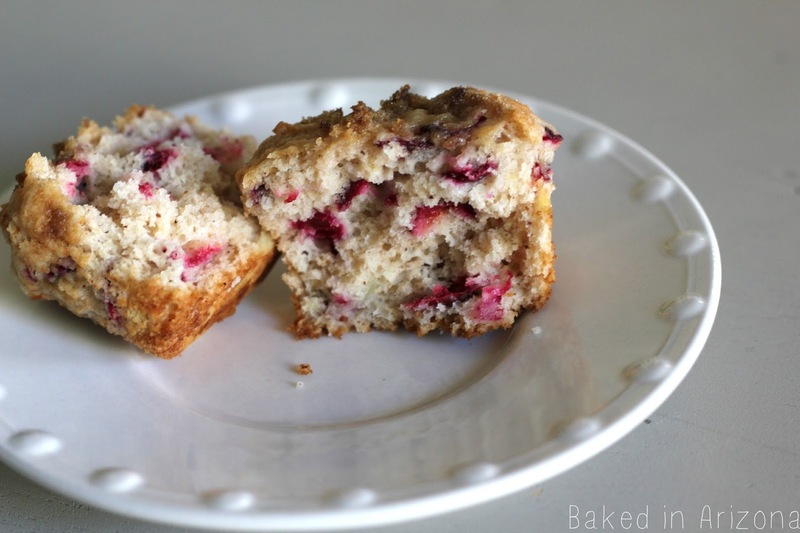 These muffins are tart and sweet! We love muffins at our house. My husband especially. I found this recipe over at Your Homebased Mom a few years ago. 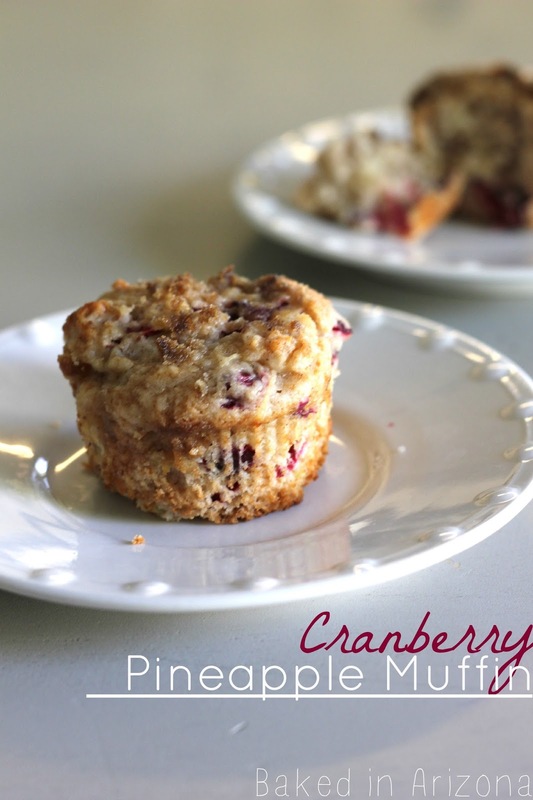 When I start seeing fresh cranberries for 99 cents a bag, I pull out this recipe. It’s a favorite in our house. The crushed pineapple with the tart cranberry is a winning combination. Then you top them with a little brown sugar. A unique, delicious muffin, perfect for a chilly winter morning. My in-laws were in town visiting a few weeks ago and I made a batch of these so they could take some for breakfast on their drive home. My mother-in-law called later in the day and said she had to have the recipe! So, if you are looking for something different and delicious, make yourself a batch of these muffins. They won’t last long. I am amazed at how fast my little family of 4 eats up a dozen muffins! Preheat oven to 375. Grease 12 muffin tins or use liners. Combine the chopped cranberries, egg, milk, butter and pineapple in a medium sized bowl. In a separate bowl, add flour, sugar, baking powder, salt, cinnamon and nutmeg. Add the flour mixture into the egg mixture and stir until just moistended. Do not over stir the batter.